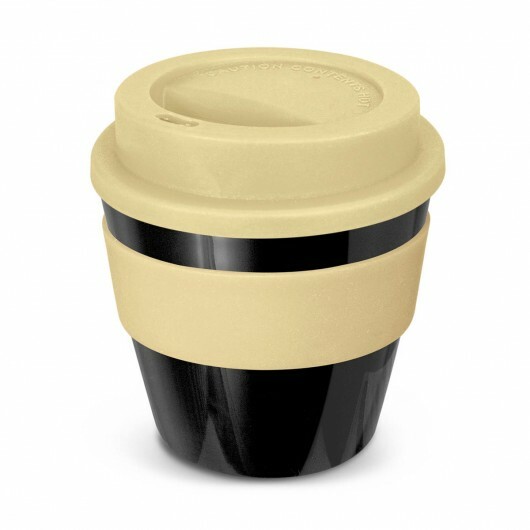 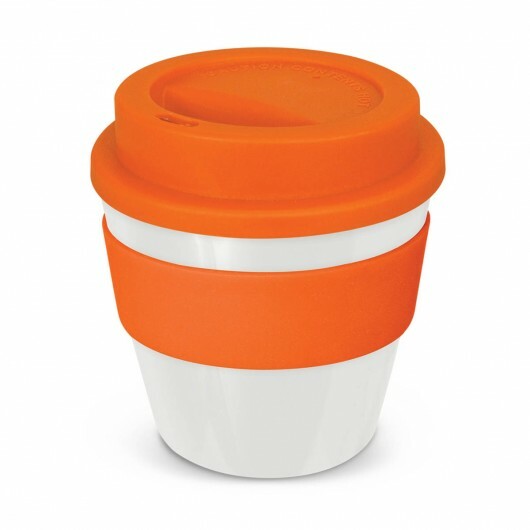 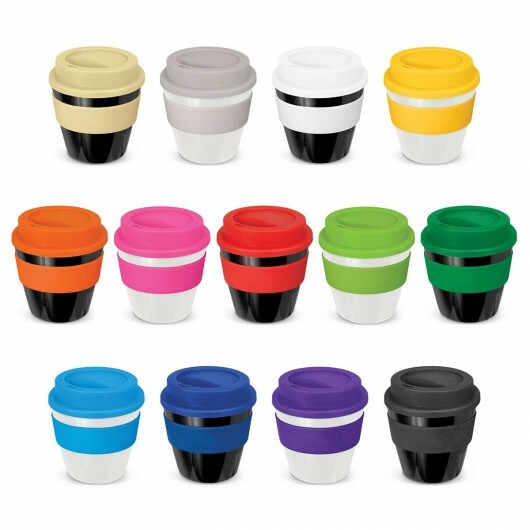 These cute cups are great promotional choice for small capacity coffee cups. Sometimes big things come in small sizes. That's exactly the case with these petite coffee cups! 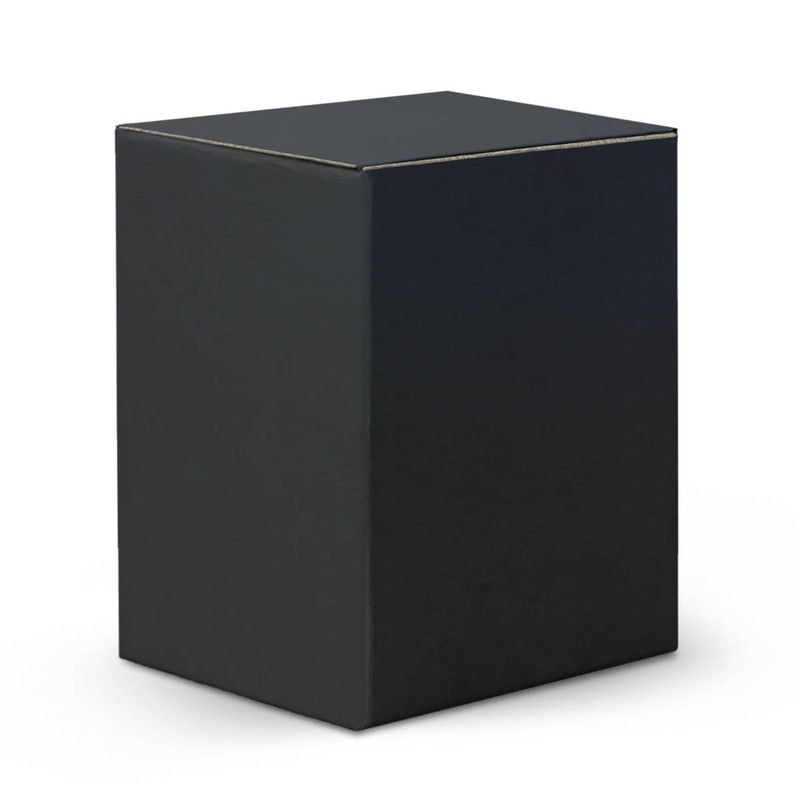 With a capacity of 230mL they have a secure screw on lid and heat resistant silicone band. Made from polypropylene they're shatterproof and odour resistant, BPA free and can be recycled. You can Mix n Match the colours of the cup, lid and band. These are available with a gift box for an additional cost, please note handwashing is recommended.